POV shot walking through scary abandoned factory at night 2of2.Pitch black wandering around horror scene with debris and graffiti. Lost in dangerous warehouse in the dark with no way out, no escape. Ghost hunting. POV ghost hunting in a creepy abandoned warehouse. 1080p Horror. Wandering lost through the woods at night. Lost in the dark with only flashlight to light the way in scary forest on Halloween. Escaping in the bushes in the dead of night. Lost in the dark with only flashlight to light the way in scary forest on Halloween. Escaping in the bushes in the dead of night. POV shot walking through graffiti abandoned factory at night 1of2.Pitch black wandering around scary horror scene with debris and graffiti. Lost in dangerous warehouse in the dark with no way out, no escape. Pitch black wandering around factory horror scene with debris 2of2.Lost in dangerous warehouse with bats in the dark with no way out, no escape. 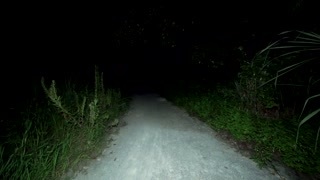 POV walking down pitch black scary path at night. At midnight, finding a way to escape the dangerous area down a deserted overgrown scary footpath with ghosts and monsters lurking. Wandering around pitch black factory horror scene with debris and graffiti 1of2. Lost in dangerous warehouse with bats in the dark with no way out, no escape. POV shot walking in abandoned factory at night with graffiti 2of2.Pitch black wandering around scary horror scene with debris and graffiti. Lost in dangerous warehouse in the dark with no way out, no escape. POV Walking through scary dark woods at night. Lost in the forest in cold winter while snowing with small flashlight, searching for escape from the harsh snow and dangerous environment.